Welcome to the Fernie Hunt Pony Club website. If this is your first time to the website we hope you enjoy looking at everything we have to offer. We are an active and friendly pony club branch set in the rural area between Leicester, Uppingham, Market Harborough and Lutterworth. Our members range in age from pre-school children right through to our senior members up to 22 years old. The Fernie Branch was created in 1930 and currently has around seventy members ranging in age from 4 to 22 years old. 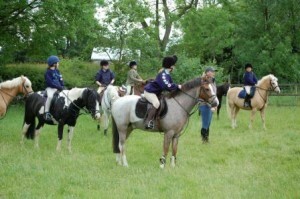 We are an active and friendly Pony Club branch. Throughout the year we run a series of rallies (group lessons), competitions and other activities to suit all levels and interests. Rallies, ie lessons, cover all aspects of pony care and riding. We work hard to find the very best instructors and by keeping our costs to the minimum our members can access first-class tuition at very reasonable prices. Rallies are also very social events where like-minded youngsters forge lasting friendships. 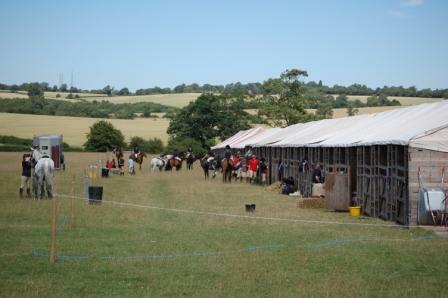 At the start of the summer holidays we hold a week long summer camp for members and their ponies where as many members as possible take part in fun and learning. Inter-branch competitions for all ages and abilities provide superb opportunities for Pony Club members to indulge their passions for dressage, tetrathlon, mounted games, show jumping and the excitement of riding fast across country. We put considerable effort into producing well built, varied and exciting cross country and show jumping courses and beautiful dressage arenas. The first line of communication with members is via email and this website. Members provide an email address for whichever parent/aunt/grandparent is primarily responsible for involvement with the pony club. More email addresses can be added if, say, both parents want to be up to date with pony club news, or if members would like to receive emails direct, in addition to their parents. We also have a Facebook page for keeping our members up to date with what’s happening. There lots to be excited about becoming a new member of the pony club, lots to learn, new friends to make…. There is also a lot to take in about what to wear, how the rallies and competitions work, etc. Please ask any questions, big or small – everyone was a new member once! The central Pony Club website is also a mine of information. 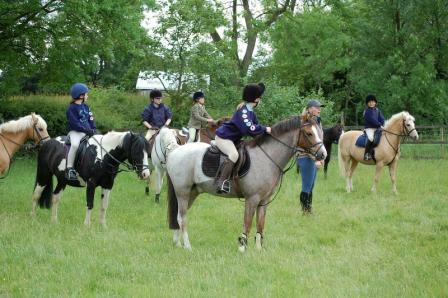 The Pony Club is a voluntary youth organisation for young people interested in ponies and riding. Started in 1929 as the Junior Branch of the Institute of the Horse, it now has over 100,000 members worldwide. Within the UK it is a registered charity and is a member of the National Council for Voluntary Youth Services (NCVYS) and is affiliated to the British Equestrian Federation. provides an interest not associated with school work, and encourages team games. promotes the highest ideals of sportsmanship, citizenship and loyalty to create strength of character and self-discipline. The Fernie Hunt is a Branch or Area of The Pony Club.